We stock a huge inventory of genuine OEM Toyota auto parts and accessories! If you are in search of replacement parts or an upgrade for your Toyota vehicle in Alamogordo, NM and beyond, the Parts Department at Desert Sun Toyota can help. We stock a huge inventory of genuine OEM Toyota auto parts and accessories and have access to the entire catalog of components from Toyota. When replacing parts on your Camry, Corolla, Prius, Tacoma, RAV4, Highlander, or another Toyota, why not choose parts that were designed for your specific vehicle? 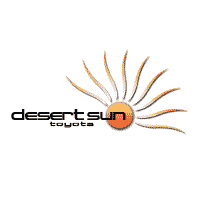 The parts specialists at Desert Sun Toyota can assist you with all of your Toyota parts needs, from finding the right oil filter, brake pads, brake rotors, tires, wiper blades, or floor mats for your Toyota, to ordering TRD performance parts for your Tacoma or another performance-minded vehicle. Contacting our Parts Department by phone or in person is the best way to ensure you are getting the correct parts for your vehicle application. You can also order your Toyota auto parts online, from the convenience of your Alamogordo, NM area home. Fill out the order parts form here on our website, and our parts specialists will get back to you promptly with information on the parts you need and the low price we offer or give us a call to (575) 201-7701. For added discounts on popular auto parts and service here at Desert Sun Toyota, be sure to shop our current service and parts specials. You can regularly find deals on new tires, wiper blades, air filters, batteries, brake pads, and more. The entire Parts Department team here at Desert Sun Toyota looks forward to serving you soon!